The Samsung Galaxy A8 Star has been launched in India at a competitive price of Rs 34,990. Launched between the 30-35k price bracket, the Samsung A8 Star packs a whole lot of features. The design of the A8 Star looks and also feels premium. With a glass body and metallic frame, the A8 Star sits comfortably in your hands. The A8 Star comes with Infinity display and has thin bezels at the top and bottom. 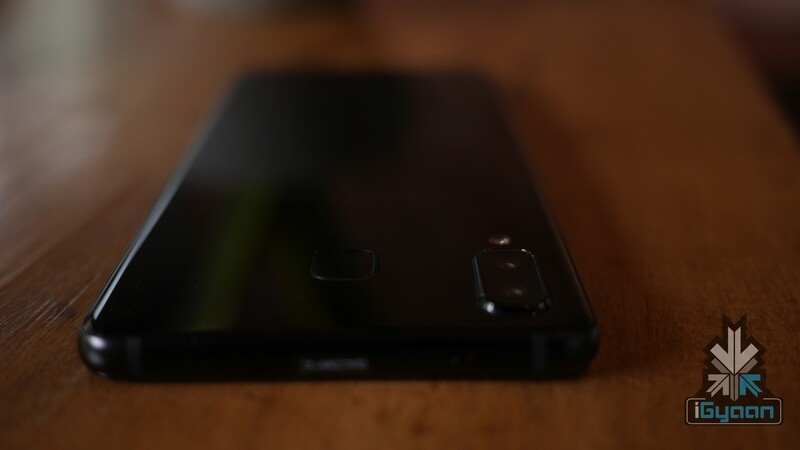 The back of the phone houses dual camera setup and a rectangular fingerprint scanner. 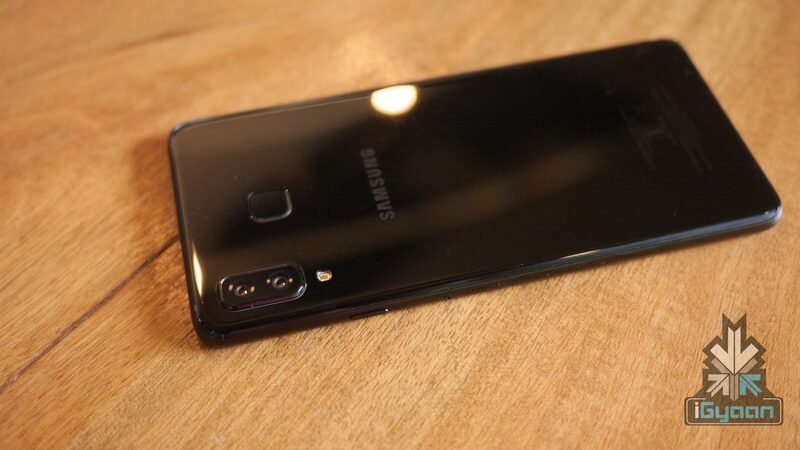 The A8 star also comes with a headphone jack and a dedicated Bixby button to the left. The 6.3-inch Super AMOLED infinity display gives the vibrant Samsung display experience. Along with this, the phone has a ‘always on’ feature which ensures that notifications and other information is available throughout. The phone also offers great viewing angles, however the phone does not have S pen support like the Note Series. Once inside, we see the familiar Samsung launcher and come across a few pre installed apps. Other than some Samsung apps, it is pre loaded with a few Microsoft Office apps which cannot be uninstalled. 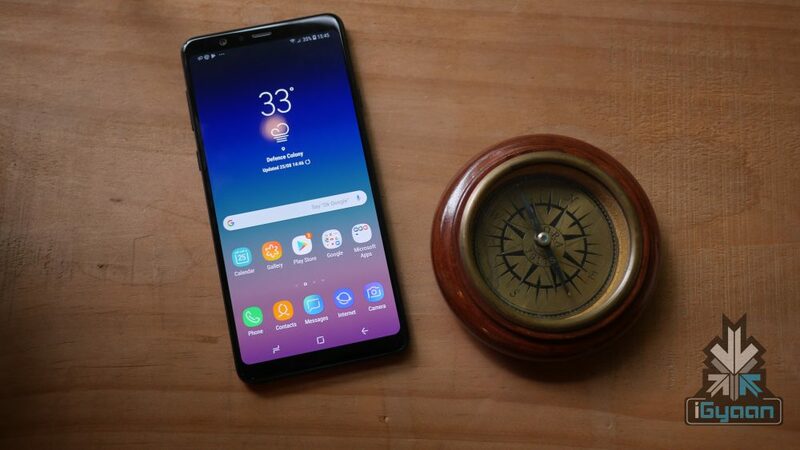 The device runs Android 8.0 and the Samsung experience 9. The A8 star can access the Bixby assistant by using the dedicated button and upon swiping up one can access Samsung Pay Mini. However, payments can only be made over NFC. The device houses a unique dual camera setup. It uses the dual intellicam system from Samsung and has 16MP+24MP cameras both with an aperture of f/1.7. The 24MP camera uses the TetraCell technology to capture pictures in lowlight conditions. The Tetra Cell uses 4 pixels instead of 1 pixel in lowlight conditions and then combines those 4 pixels into 1 pixel to give you the best output. The main camera captures 4K video at 30fps. In the front we have a 24MP camera that uses a variety of creative effects to give a sharper image. A number of AR stamps, stickers and filters add to the experience. 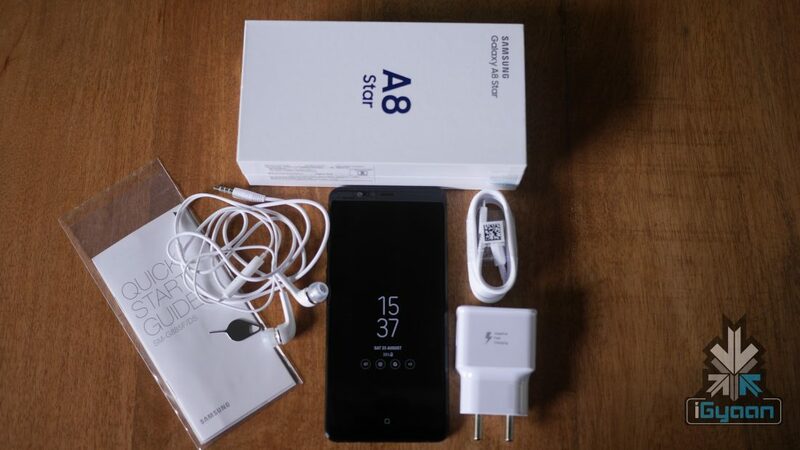 The A8 Star houses a Qualcomm SDM660 Snapdragon 660 chipset with an Adreno 512 GPU. It has 4GB of ram and 64GB internal storage which is expandable up to 400GB. Powered by a 3700 mAh battery, the A8 Star comes with adaptive fast charging with a 9V, 1.67 A charger. Additionally, it has a fingerprint sensor at the back and also comes with Face Detection. 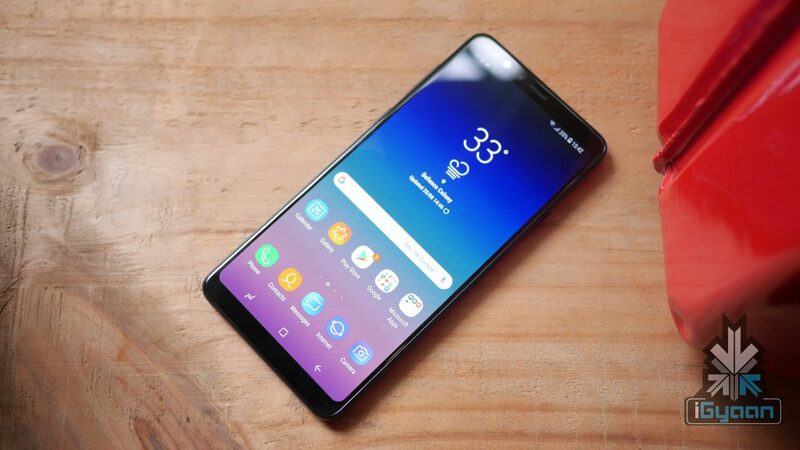 For more about the experience of using the Galaxy A8 Star, check out our video below.